When you search for travel online, you can spend hours scrolling through various sites from booking to airline. And during this time, you’ve missed out on spending time with your family and friends, or even walking your dog. check out these myths about a travel agent. It’s usually free to use a travel agent. However, some agencies charge fees just like online booking sites. 2. Doesn’t have set hours. Each travel agent sets his or her hours. Some work on the weekends. 3. Doesn’t work in an office. Some travel agents work at a physical location, while others work-from-home. 4. Will try to sell me a travel package I don’t want. If anyone tries to do this, run away as fast as you can! A travel agent works for you. If you don’t want additional excursions, you don’t have to book them. 5. Have access to the same travel sites you do. 6. Are concerned about earning the highest commission. Some travel agents specialize in a certain area, let’s say cruises. So, they may have a favorite cruise line because of traveling with them multiple times. Keep in mind that travel agents take FAM (familiarization) trips to destinations, so they can create a better travel experience for YOU! 7. They’re all the same. Nope! Each travel professional is different, from their level of skills to travel experience. You need to find a travel agent who’s right for you. It’s no different than finding a doctor, lawyer, dentist, CPA, life coach, or other professional. 8. Doesn’t stay on top of trends or politics. A travel agent needs to be tuned-in and tapped in to the latest trends within the travel industry along with the political goings on in other countries. Clients need to know about travel warnings, threats, etc. Are You Ready to Work with a Travel Professional? 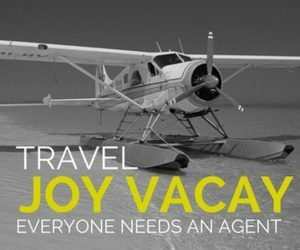 Imagine working with a travel agent who helps you plan your vacation. All you do is give her the dates you want to travel, where you want to go, and what you want to experience. It’s that easy. Your travel agent does the work, from finding you the best prices to accommodations. All you do is sit back and dream about your vacation, perhaps a 15-day European river cruise where you see and experience several countries. Or maybe you’d prefer an adventure vacation. Sound good? You bet it does! If you’re ready to discuss your travels, contact me today. Let’s work together! I can help you plan your dream vacation, so all you have to do is buy a new wardrobe for your vacation. Are you considering a family vacation? Download this FREE guide!